In May, Zoo Boise welcomed new births in two South American Exhibits. 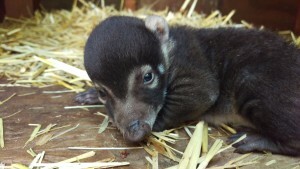 On May 10th, the zoo’s two female white-nosed coatis [pronounced co-AH-tee] each gave birth to multiple kits. Bella gave birth to two male and two female kits and Rose gave birth to two male kits. 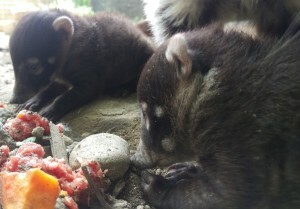 While the kits will spend approximately five weeks in their dens, the mothers may occasionally take them outside into the exhibit where zoo visitors can see them. 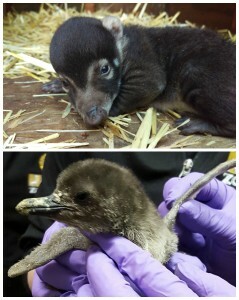 A Magellanic penguin chick also hatched at the zoo on May 16th. 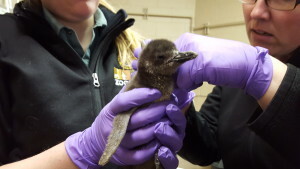 This is the first chick for parents Tuffy and Bocelli. The chick will also be staying in the den for the first few weeks and then will be moved to the Animal Health Complex where it can learn to swim in a smaller pool before being introduced to the larger penguin colony. 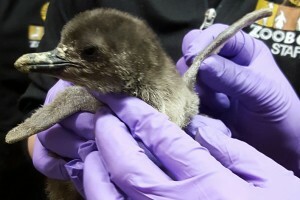 Zoo visitors will not be able to see the chick on exhibit until later this summer, but pictures and updates will regularly be posted to Zoo Boise’s Facebook page.